Port of Tanjung Pelepas, Malaysia's largest and busiest container terminal, is a world class port located at the southern tip of the Malaysian peninsula and at the confluence of the east-west trade lanes. Enjoying geographical advantage, multimodal connectivity and situated within Malaysia's southern gateway Iskandar Malaysia, we are poised to become the preferred Port of Choice in South East Asia. If you desire a career in a fast growing, multi-talented yet warm & friendly environment - then join our winning team. 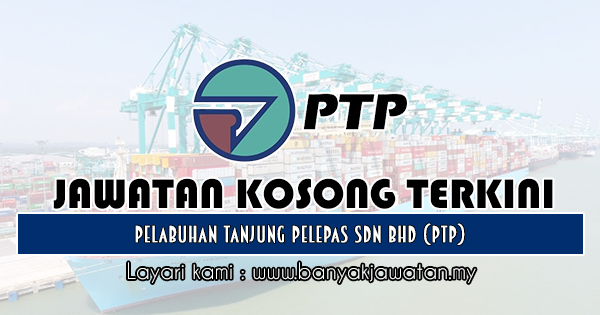 0 Response to "Jawatan Kosong di Pelabuhan Tanjung Pelepas Sdn Bhd (PTP) - 25 April 2019"